YOUR PREMIUM SOURCE FOR THE RARE KORTH REVOLVERS & ACCESSORIES! I am offering a brand new KORTH Supersport ULX (ultralight).357 mag revolver with a matched 9mm cylinder. This very limited production of twenty revolvers is manufactured by KORTH in Germany. I imported four of the twenty ULX revolvers currently manufactured. As you can see by the photos, the pistol has weight saving cutouts as well as adding color and the wood custom grips. The difference between the standard Super Sport STX, ALX and the ULX is the weight. The standard Super Sport STX weighs 1640 grams, ALX weighs 1395 gram and the ULX weighs 1280 grams. PRICE: $8,500.00 delivered to your FFL. LAST ONE IN STOCK. READY TO SHIP! 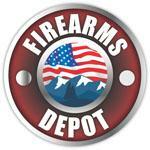 Please contact me at Bob@firearmsdepot.us or 928-522-6466 if you have other questions.. Yes. I have the original grips and the original screws for it. Thanks for your interest. I am looking for a preferably new Hk Mark 23 with factory night sights. I'll consider used if well taken care of. Send photos and price to me at Bob@firearmsdepot.us Thanks. I am offering an Korth Supersport STX revolver in DLC silver . These rare .357 magnum revolvers are manufactured by Korth in Germany and only a few get coated in silver at the factory. KORTH Super Sport STX in silver, 1600 grams, .357 Magnum, 6 rounds, 6” long, Magnum revolver complete with hard case. Price is $7,000.00 delivered to your FFL. The compensator and walnut factory grips are available to the Buyer for an additional amount. The Nills Korth Phil Hemphill grips as shown with the compensator are not for sale. NOTE: Please be aware of the legal status of this firearm before purchasing. I do not ship to: CA and all other firearm unfriendly cities, counties and states. I do not ship outside of the Continental US including US territories. I will not accept returns under any circumstances. Please know your Local and State laws before purchasing. PAYMENT: I accept a USPS Money Order or the following Credit Cards: Discover, MasterCard or Visa. NOTE: There is a 3.5% CC surcharge if you choose to use a credit card. SHIPPING: INCLUDED via USPS Priority Mail with tracking to your FFL. Shipping insurance is not included. Please contact me at Bob@firearmsdepot.us or 928-522-6466 for more information. Thank you for your interest. Korth factory promo video. Sorry it is German, but you'll get the idea. Notice the custom Nill wood grips. Better photos of offered revolver package added. Gun was also listed on Gunbroker and sold for $3500. I'm now waiting for payment. I'll take down the Sturm ad as when payment arrives. Sold three. Last one in stock. No more available from Germany. I am offering an brand new Hk Mark 23 Desert Tan .45ACP complete package that has been part of my collection for many years. It is one of the estimated 500 Desert Tan models that Hk released in 1994. I am thinning out my Hk collection and this is one of many that will be listed here in the near future. NOTE: I am also selling a Hk4 NIB package and a Hk P7M8 Jubilee NIB. package. The Hk4 is listed on Sturmgewehr and contact me directly about the P7M8 Jubilee. THE PACKAGE INCLUDES: Pistol, (2) 10rd magazines,spent casing, manual, cleaning kit, cable lock and Hk tan soft case NOTE: Please be aware of the legal status of this firearm and 10rd magazine capacity before purchasing. I do not ship to: CA and all other firearm unfriendly cities, counties and states. I do not ship outside of the Continental US including US territories. BUYER IS RESPONSIBLE FOR ALL CITY/COUNTY/STATE FIREARM REGULATIONS CONCERNING THE LEGAL STATUS OF THIS FIREARM. I will not accept returns under any circumstances. Please know your Local and State laws before purchasing. PRICE:$3,225.00. Firm. PAYMENT: USPS Money Order, Bank Cashiers Check,.I only accept the following Credit Cards: Discover, MasterCard or Visa. 3.00% surcharge for credit card purchase SHIPPING: FREE: USPS Priority Mail with tracking to your FFL. Shipping insurance is not included. Please contact me at Firearms Depot or at 928-522-6466 for more information concerning this pistol package. Thank you for your interest.